John P. Ford handles all aspects of litigated matters, from pre-suit discovery through trial. He is experienced in personal injury matters, motor vehicle/trucking accidents, injuries on property, products liability, and construction accidents. He represents individuals in all New York State Courts and in Federal Court, the Western District of New York. 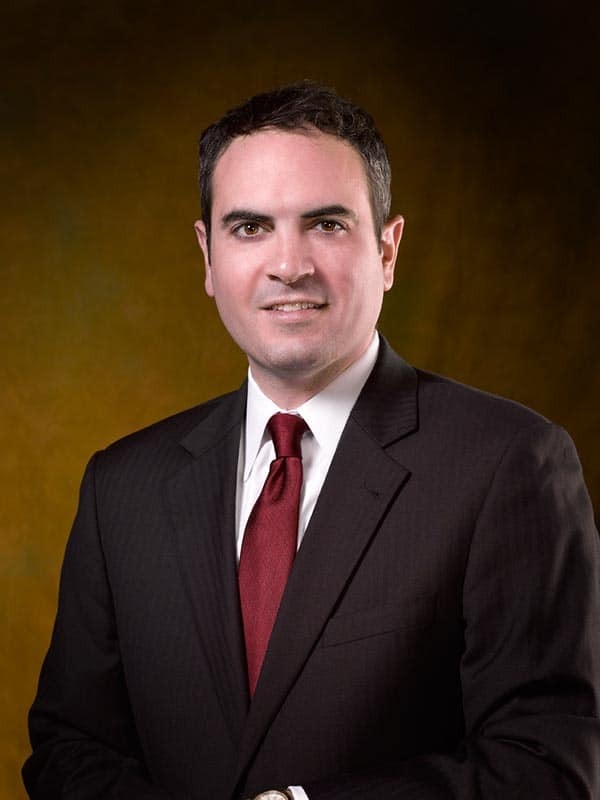 Attorney Ford was recently named a 2014 Rising Star for General Litigation, as named by Super Lawyers magazine. Attorney Ford received his J.D. from the University of Buffalo Law School in 2004. While attending law school, Attorney Ford was actively involved with the University’s National Trial Team Program, earning Finalist awards as a member of the National Trial Competition and Texas Young Lawyer’s Association teams. He earned his undergraduate degree from Canisius College where he played goaltender for the Golden Griffins’ Soccer Team and was a walk-on guard for the Men’s Basketball Team. Currently, Attorney Ford is a member of the Bar Association of Erie County and New York State Bar Association. He serves as an instructor and coaching assistant for the University of Buffalo Law School Trial Team and is a board member for the Northwest Community Mental Health Facility. In the past, Attorney Ford served as a radio color commentator for the Canisius College Men’s Basketball Team on 710 AM.